This 1859 map shows the established Atlantic Basin in Red Hook, and a neighboring "Proposed Basin" that was not built as shown. 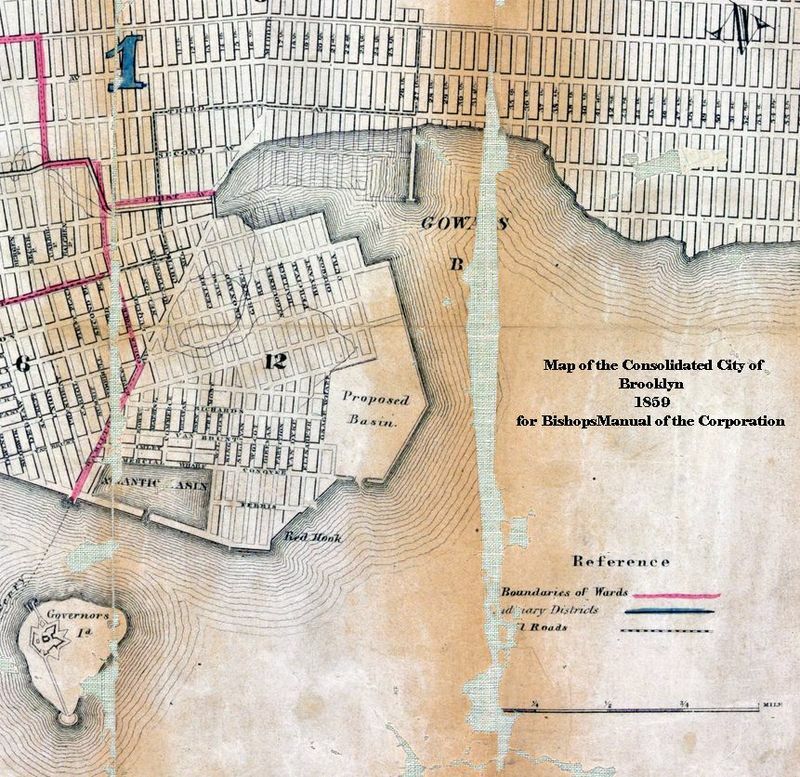 The large Erie Basin, however, was built closer to the Gowanus in the mid-1860s. 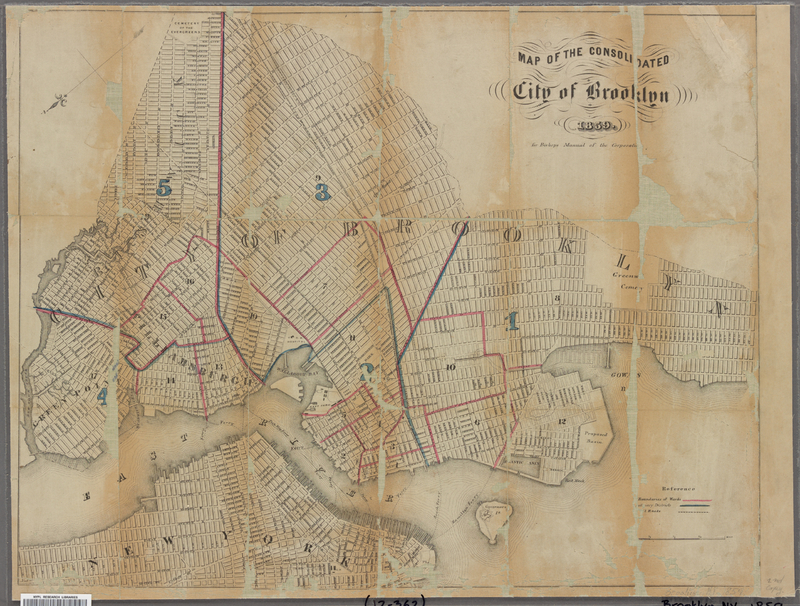 The towns of Bushwick and Williamsburg consolidated with Brooklyn in 1854.